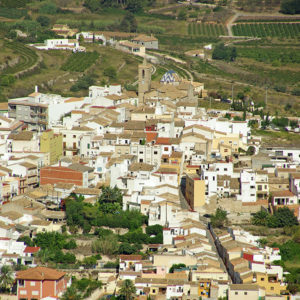 Benitachell, Poble Nou de Benitatxell, a municipality in the Community of Valencia, situated in the north-east of the province of Alicante, in the Marina Alta area, denominated Costa Blanca tourism area. According to National Institute of Statistics data, at the last census in 2007 Benitachell had 4773 residents. Today there is a rich agricultural landscape of almond groves and Muscatel grapes, with ‘riu-raus’ scattered here and there, traditional agricultural constructions where grapes are dried into raisins. 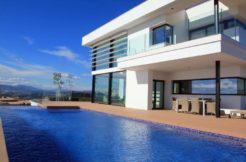 There are also several residential developments and areas, such as the Cumbre del Sol development, which have given a significant boost to services and tourism. 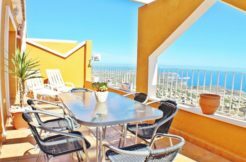 The coastline of Poble Nou de Benitachell is very dramatic, with spectacular cliffs and viewpoints from where to enjoy the finest sea views on the Costa Blanca. Nestled at the foot of the cliffs we find marvellous beaches and coves: de los Tiestos cove, el Llebeig cove and el Moraig beach. El Moraig beach is ideal for swimming and diving. 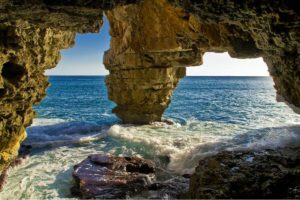 On el Moraig beach itself we find the “Cova dels A rcs”, an impressive cave with an underwater route inside.A strategically located municipality close to large tourist municipalities such as Teulada-Moraira and Javea, and only 90 kilometres from the city of Alicante. 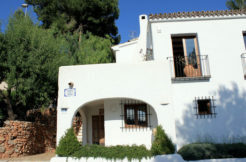 Poble Nou de Benitachell offers all the amenities, sports activities, golf, rambling routes and a culture which keeps its rich traditions and fiestas. It has preserved its essence, combining a modern outlook with respect for traditions and an uncomplicated, hospitable attitude.